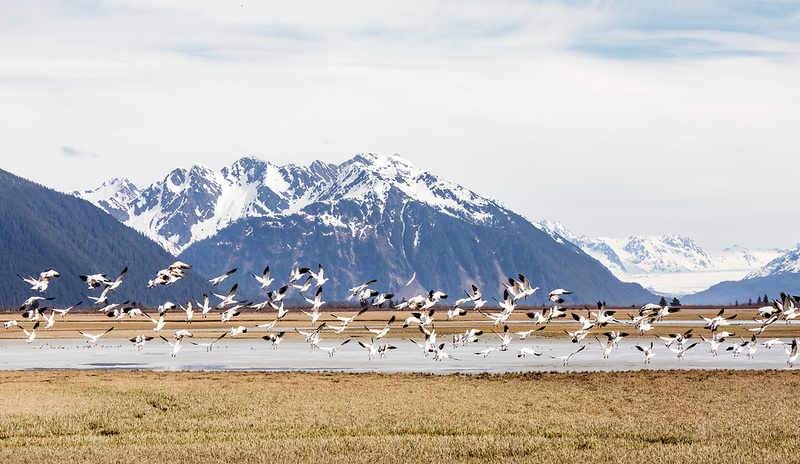 Flock of Snow Geese (Chen caerulescens) in flight over Copper River Delta in Southcentral Alaska. Spring. Morning.